At Captain Shirty, The T-Shirt Legend, we have a selection of high quality, genuine Dodge official licensed T-shirt products Trademarked by Chrysler, for the Chrysler muscle car enthusiast. 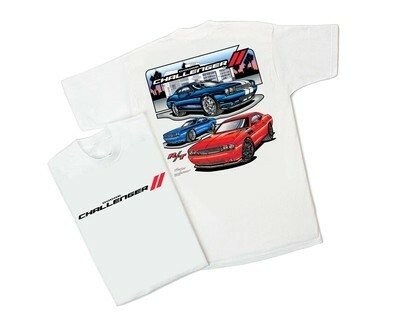 Each Chrysler muscle car t-shirt is licensed, tagged and manufactured in high quality materials, featuring highly detailed artwork, eye catching colours and contrasts, and collectable by design. Whilst this category does not specifically relate to certain models released by the Chrysler collection, it does however offer the opportunity for enthusiasts whom have a passion for all models released by Chrysler. At Captain Shirty, we have introduced the Chrysler/Dodge range to our collection, with new release t-shirt artwork updated as production becomes available. 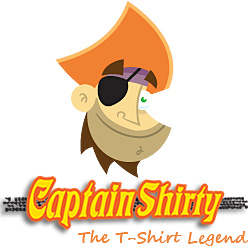 If you have any enquiries relating to our Chrysler Trademarked Muscle Car T-shirt product lines, please do not hesitate to contact us at Captain Shirty, The T-Shirt Legend via email or by phone.